A common and increasingly popular tool designed to prevent litigation if a marriage should break up is what is called a “prenuptial agreement”. As the name suggests, a prenuptial agreement is prepared before the parties marry to provide for a predetermined, amicable settlement if the marriage ends in divorce or death. A similar agreement can be entered into after the marriage, and in such case, it is called a postnuptial agreement. In 2007, Florida enacted a statute that validates and clarifies the application and enforcement of such agreements. Parties are choosing to enter into these marital agreements to clearly define, in advance, the terms and conditions for the distribution of the parties’ assets and liabilities, as well as addressing other monetary and non-monetary issues in the event of a divorce or the death of party. Premarital and post-marital agreements can be among the most complicated agreements known to the law because they require anticipating many different, and sometimes complicated, issues. The circumstances, issues, and objectives of every case are different. 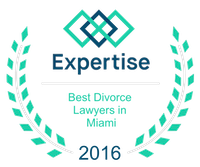 Every such marital agreement must be custom-tailored to fit the particular needs of each client. There is no such thing as a standard premarital or postmarital agreement form, since there are many options to consider. It is important to have a clear understanding of your goals and objectives, but equally important to keep your mind open to alternative arrangements that the law and your attorney’s creativity may allow or suggest. As a general rule, issues relating to minor children, such as parental responsibility, child support, and time sharing cannot be predetermined in a prenuptial or post-nuptial agreement, since the Court has the ultimate power to decide what is in the best interest of the minor children. A premarital or post-marital agreement must be in writing, and for a premarital agreement, the marriage is the only consideration needed to create a binding agreement. Any amendment, revocation, or abandonment of a premarital agreement must be in writing and signed, but no additional consideration is needed. Dealing with end-of-marriage issues when you are preparing for your marriage can be difficult and awkward, and needs to be handled with delicacy and tact. At the law office of Vilar Law, P.A., we have experience in dealing with these sensitive issues so you can worry about what is important to you.